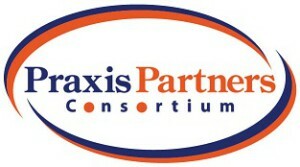 The Praxis Partners Consortium was established so that like-minded professionals in different silos and sectors of society can find each other and work together. We share a commitment to improving what happens when health events imperil a working age person’s ability to function at home, at work and in the community. When like-minded professionals collaborate, we can work together more efficiently, deliver better outcomes at lower total cost, and prosper by doing so. We hope you will do business with our members – or get involved another way. Challenge – Today, working people usually have to fend for themselves in getting their lives back together when their ability to function at home and work has been changed by injury, illness or aging. We want to meet the reasonable needs of those people (and of our society) more completely so they are able to get back into the swing of things and remain as independent and productive as possible. We see the status quo as our main competitor. We want to thrive and prosper by delivering more value to individuals and their families, their employers and benefits payers, the community, and the taxpayers. Mission – We are taking a grass-roots do-it-yourself approach to system change. Within the Consortium, our collaboration is going to transform the way things are done, bit by bit, from the ground up. Our focus is on “praxis” – a Greek word that means moving things from the realm of talk and ideas into actual practice. Instead of just waiting for system reform, our members are looking for, developing and experimenting with, and putting in place better ways to do things both in our own practices and businesses and the interconnections we create. We are helping each other prepare for the huge opportunities emerging as the healthcare and disability systems start defining value in terms of practical outcomes such as improved status, total costs and population results. Who We Are – All Praxis Partners members are professionals. We promote, provide, arrange, recommend, coordinate, approve, or purchase services that restore and enhance health, well-being and the ability to function, work, and participate fully in life for those who are injured, chronically ill, aging, or who have a disability. We are trained in a wide variety of disciplines, from healthcare care professions like medicine and psychology, to human resources, vocational rehabilitation and law, to media, marketing, insurance, business, administration, finance and so on. Our members work in multiple sectors of the economy including healthcare delivery, managed care, insurance, private and public sector employment, NGO’s, academia, communications, and government. Some of us are innovators and change agents; some are looking for better solutions; some simply do the right thing consistently and want to team up with others who “get it”. Activities – We are looking for, developing, piloting, testing, and/or putting in place better models, methods, tools, services, products, processes, systems, metrics, relationships, contracts, and financial agreements — all the practical things that make it possible to consistently produce better life outcomes. We are sharing experiences and resources, and are teaching and learning from one another. We are also keeping the larger marketplace informed about what our group and our members are up to.